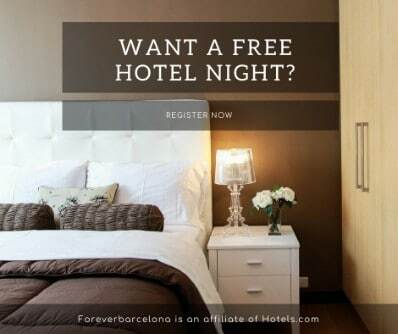 If you are staying in Barcelona two days or more, you should consider going on a day excursion. But if figuring out how to organize your sightseeing in town can be tricky if you’ve never been in here before, choosing a destination for a day excursion can be even more confusing as it’ll be lesser known sites not many visitors go to. And yet, there are plenty of awesome excursions from Barcelona that can be easily done in just one day.  Today we are sharing with you our favorite ones, what makes them special and how to get there. 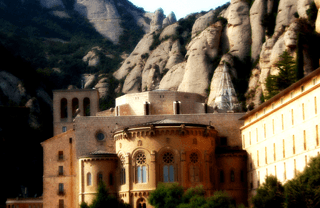 The mountain and monastery of Montserrat is usually a top choice when considering day excursions from Barcelona. The main reason is a great combination of easy access, spectacular views and culture. The Monastery of Montserrat is located only 45min drive from Barcelona, halfway to the top of a unique rocky mountain. Still a working monastery, it is the holy heart of Catalonia and locals flock here in the weekends to worship the Black Madonna. It is also home to one of the oldest boys choir in Europe, and they sing every afternoon except on Saturdays. There are many tour companies arranging half day excursions from Barcelona, but you can also take the FFCC train departing from Plaça Espanya (although then you’ll have to plan a full day excursion, as it takes longer to get there). It can even be a choice as a Barcelona shore excursion if you are coming on a cruise. If you love medieval towns, this should be your choice for a day excursion. During our day tours there, I’m often told that it feels like being in Italy without the crowds. And it is, indeed. Charming quiet alleys, an impressive medieval wall, and imposing Cathedral… Plus the bonus of keeping one of the better preserved medeival Jewish sections in Spain. 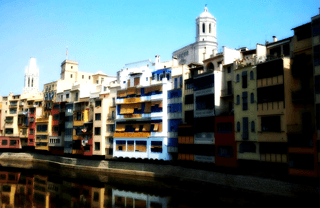 While most tour companies offer Girona as part of a full day trip, we also offer it as a 6-hour half day. You can get there on your own by RENFE regional train (1h30min aprox) or the AVE fast speed train (around 30min). From the station you’ll have to take a taxi to the old town, or walk a bit more than 10 minutes. Salvador Dali was born in the town of Figueres, and he created his main museum there despite his wife’s Gala disappointment and complains (she wanted the Dali Museum to be in a fancy metropoly such as Paris, London or NYC instead). Dali took the ruins of the town theatre and rebuilt them to house the most surrealistic museum on earth: everything here is a surprise! Following the artist’s wishes, his works aren’t organized in any order at all, and there are no audioguides. Many companies offer combined Girona & Dali Museum day excursions from Barcelona, but not all of them include a guided tour inside (some will just give you skip-the-line tickets but no tour: so make sure to check before you book). We also organize Barcelona day excursions there, either combined with Girona or just the museum: it’s around 1hr30min to drive there, but you can also take either the RENFE train (the station is some 15min walk from the museum) or the AVE fast speed train (you’ll need to take a taxi to the museum, as the station is located in the suburbs). For archaeology-lovers, this side trip is a must. Roman walls, the ruins of what’s supposed to have been the largest Roman Forum outside of Italy, an interesting Circus, and best of all: an astonishingly well preserved amphitheater with a the remains of a church in its arena. And if that’s not enough, Tarragona also features an atmospheric old town with narrow alleys and a beautiful cathedral. Even more off the beaten path than Girona, but easily reachable by highway (1h15min) or train (the station is some 10min walk from the Old Town). 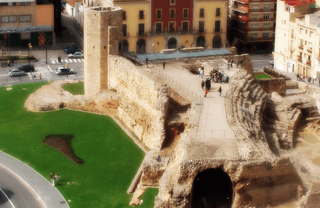 I’m not aware of many tour companies arranging tours there – we do: either Tarragona-only on a half day, or Tarragona combined with another destination for a great full day excursion. A great choice for an easy day trip, this cute seaside village is a good choice for a family excursion. Walk around the white-washed streets, do some shopping in the Carrer Major, have lunch by the marina and enjoy some beach time. It’s easily reachable by RENFE train (30min), and the station is very close to the old town and the beach. 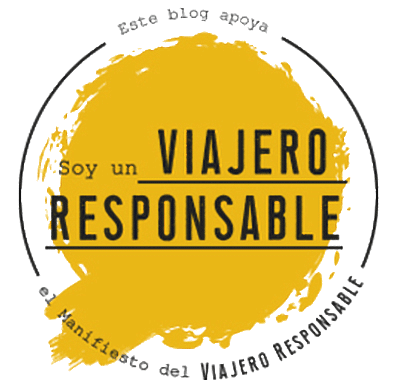 Again, I’m not familiar with other agencies taking you there, and while we offer it as a half day destination, most people prefer to go there for lunch after visiting another site such as Montserrat, Tarragona or even the Wine Country. AND BONUS! Doesn’t everyone talk about the Costa Brava? Aren’t there any day excursions from Barcelona? Costa Brava is the cliffy coastline between Blanes and the Empordà County, and it is famous for its rocky beaches and fishermen towns such as Tossa de Mar, Calella de Palafrugell and Palamós. Unfortunately, it is not easy to visit on your own unless you rent a car: only Blanes is accessible by train, but it doesn’t have the rocky landscapes you’ll see further away… There are buses that take you to the other towns, but it can be tricky to figure out their schedules and they don’t always leave you close to their beach areas. If you don’t want to rent a car, your only option is a taking a tour. However, for some reason many tour companies advertise their Girona & Dali Museum side trips “Costa Brava day trips”, when they never get you any close to the Mediterranean! That is totally confusing, when not plainly dishonest… If you are booking a Costa Brava tour make sure to check what sites are included in your itinerary and don’t hesitate to ask if you’ll be seeing the coast at all. While Tossa de Mar can be done as a half day, many of our guests prefer to go there just for lunch after visiting Girona. 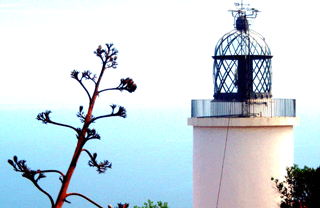 Calella, Palamós and other Costa Brava villages would require a full day, instead. So what about you?  Head to the comments below and tells us: Have you been on a day excursion from Barcelona and how was your experience? VISITING MONTSERRAT? CHECK OUT THE TOP THINGS TO DO THERE!